The development of packaging for pharmaceuticals is a highly regulated endeavor with design and functional parameters governed by the FDA in the United States and the EMA in the European Union (in addition to a host of local regulatory reviews). The overarching goal is, naturally, compliance, clarity and legibility for as broad an audience as possible. As part of a recent exercise in the development of packaging recommendations, we surveyed the landscape both of contemporary and historical pharmaceutical packaging solutions. 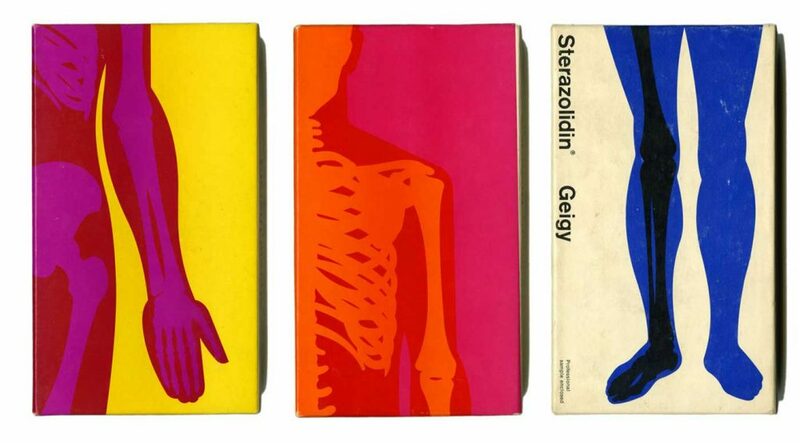 A notable and creative corpus of work was developed by the Swiss pharmaceutical and chemical company, J. R. Geigy, A.G.* from 1950 to 1970. 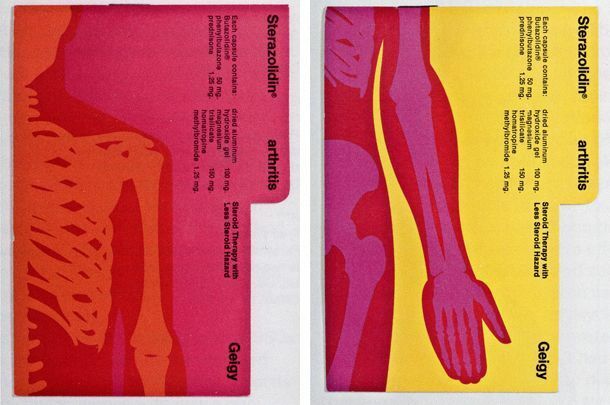 Their design work spanned their chemical and pharma offerings and serves as a prominent example of the “Swiss style”. This aesthetic is often associated with generous white space, the use of a grid, Akzidenz-Grotesk type, and the integration of photography, bold illustration, and striking color contrasts. 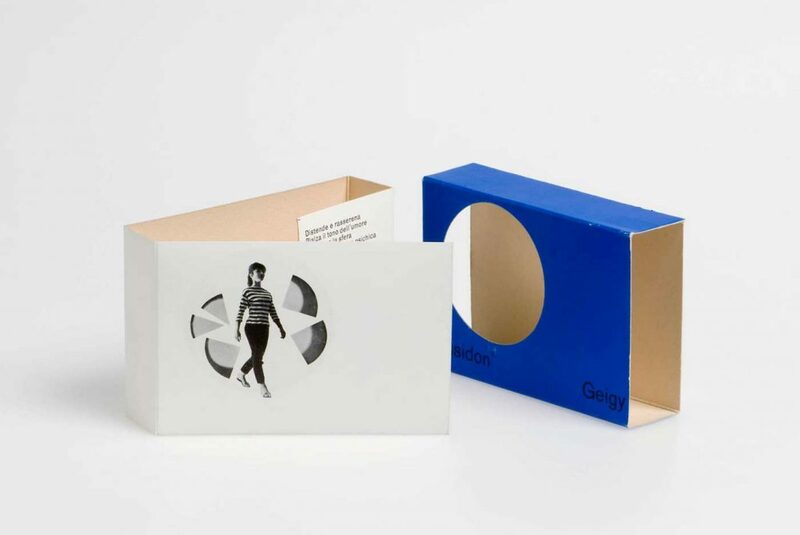 Geigy’s packaging and collateral have a clear modern aesthetic and the design principles provide for dynamic expressions, some examples of which found online are shown here. 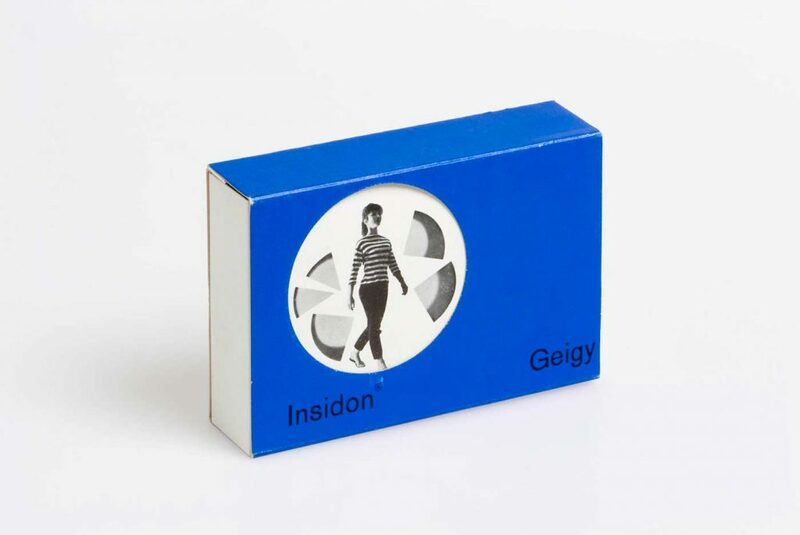 We recommend visiting the Museum für Gestaltung Zürich and doing a search for “Geigy” for additional examples. 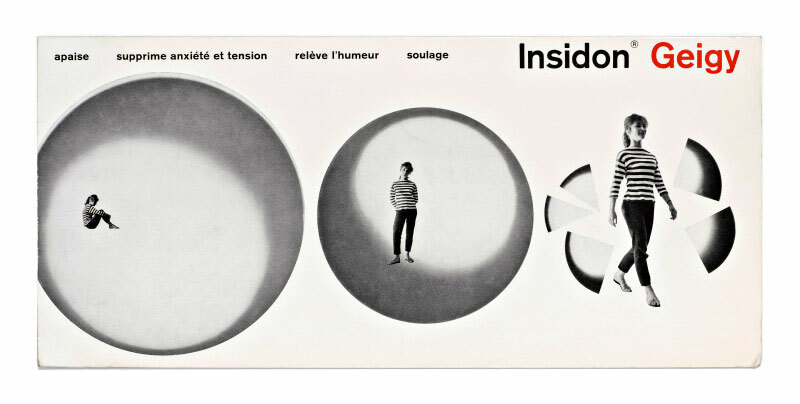 If you wish to learn even more pick up Corporate Diversity: Swiss Graphic Design and Advertising by Geigy 1940-1970, edited by Museum für Gestaltung Zürich, Andres Janser, Barbara Junod. 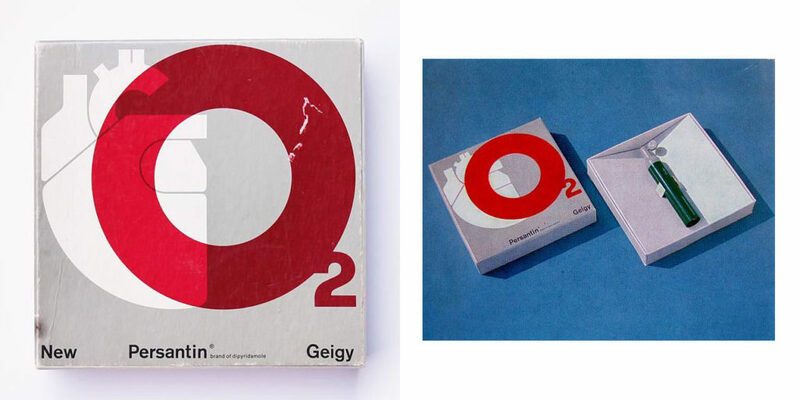 This is a comprehensive review of Geigy’s contribution to Swiss design filled with several decades of examples. If packaging is something your company is exploring please feel free to contact us. * J.R. Geigy (founded in 1758) merged with CIBA (founded in 1859) in 1970. The contemporary pharmaceutical giant Novartis was formed in 1996 from a merger between Ciba-Geigy and Sandoz Laboratories.